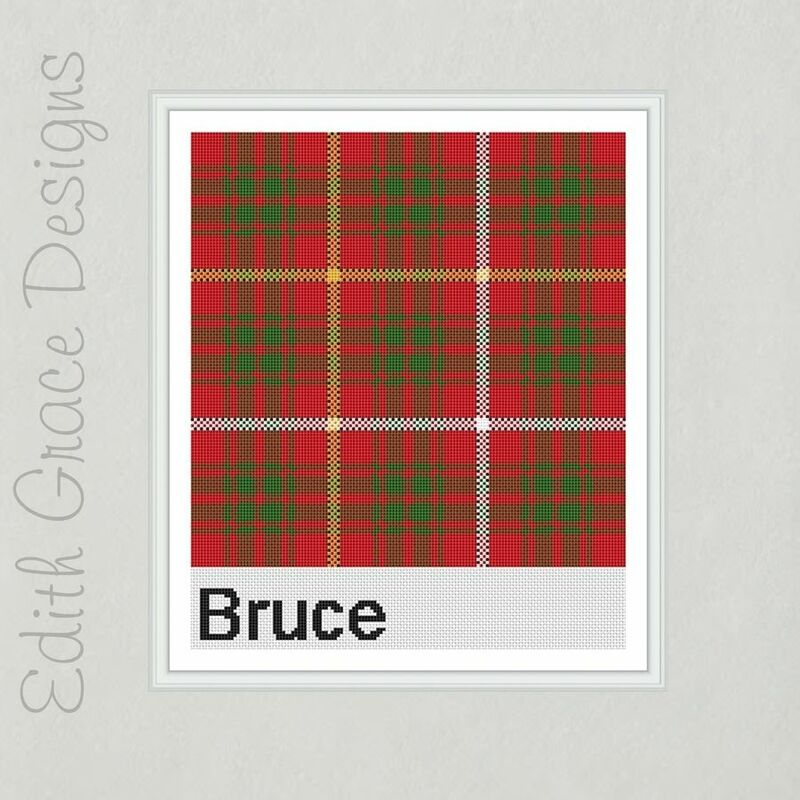 Bruce Tartan Cross Stitch Pattern - Digital Download. 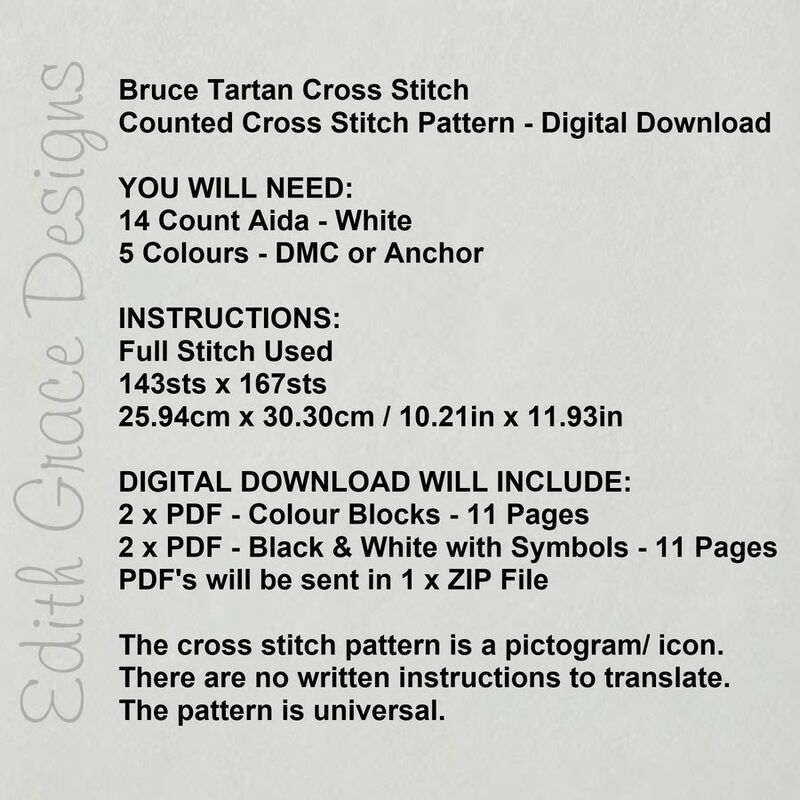 DIGITAL DOWNLOAD WILL INCLUDE: 2 x PDF - Colour Blocks - 11 Pages including instructions & image. 2 x PDF - Black & White Symbols - 11 Pages including instructions & image. 1 x ZIP File containing the PDFs. Clan Bruce is a major clan of Scotland. The Bruces are descended from Robert de Bruis, a Norman knight in William the Conqueror's company. 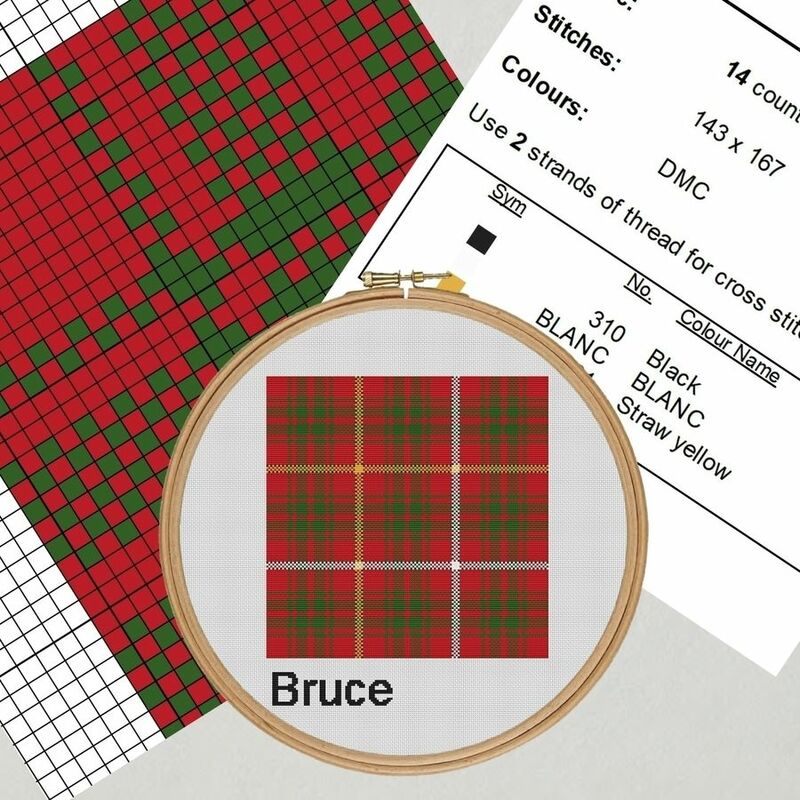 This tartan is one of six Bruce clan tartans, this tartan can be dated from 1571.